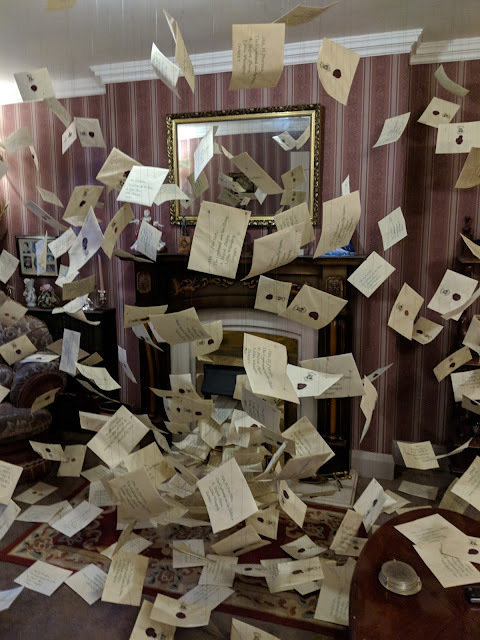 I could play it cool and pretend I didn't shriek with delight when the email landed to say I had been invited to the Harry Potter studios tour in London. I could, but I won't. I think the shriek would be similar to that of me receiving an acceptance letter to Hogwarts, or my children receiving one. Whilst I can keep dreaming on that one, the reality of visiting the studio tour had me rather giddy. Every since the studios opened I have wanted to visit. I was one of those kids that read the entire book on the first day it was released. I watched the films as close to opening night as possible and well just loved the whole Harry Potter franchise. It was time to finally visit the studio! Our visit was on a Friday evening so I picked the girls up from school and made the 3hour car journey down the M1 to the M25. We were really lucky with the traffic and arrived early. The girls had some knowledge of Harry Potter, we had read the first book together and watched the first film, and Little Man can just about work out it is him in the mirror so he was just happy spending time with us. I was really excited. The girls ran across the courtyard to the giant statues in front of them. Not knowing what they were, but mesmerised all the same. I knew, I was awe struck. The chess pieces from wizards chess. They were huge, I honestly didn't think they would be that size. I was itching to get inside and let the tour begin, but first we had to solemnly swear that we were up to no good. We had passport books to collect stamps as we made our way around. The girls eagerly looking for the next stamp and Little Man giddy with all the new things to see. Our tour started with a brief presentation looking over the history and an explanation of what to expect during our tour. The girls listened intently and I could see the excitement beginning to build. We made our way into a cinema presentation where the girls sat and watched the presentation very carefully before we made our way to the Great Hall. I was now far too excited and could not wait for the doors to open. 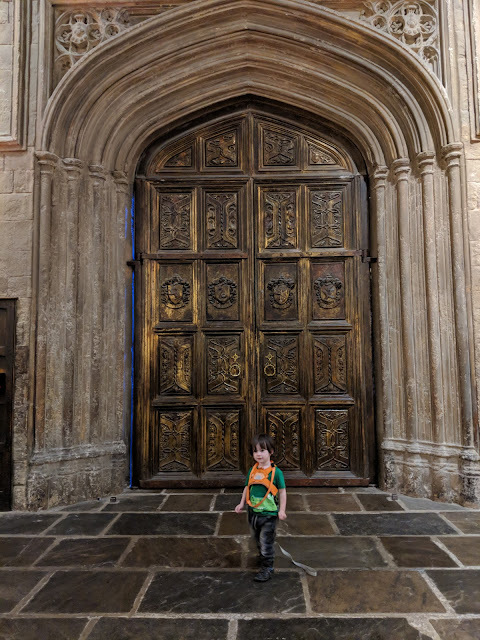 I had decided to wait to the end to enter mainly because I wanted to get a photo of at least one of my children in front of the doors. It was worth the wait! 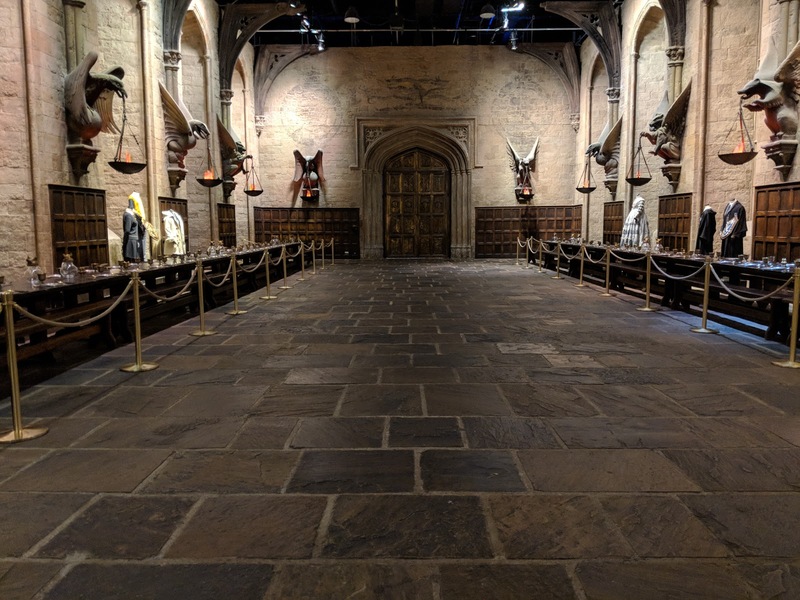 Plus waiting until the very end meant I also managed a photo of the Great Hall with no one else in it! We soaked up the details before making our way out. Little Man seemed to love going from exhibit to exhibit as he looked at all the bright colours and details on the different props and sets. Some areas are set up as the original set such as Professor Albus Dumbledore's office and the Gryffindor common room. Within each are props that were used, costumes and other artefacts that went into the films. The girls asked lots of questions as they went around. 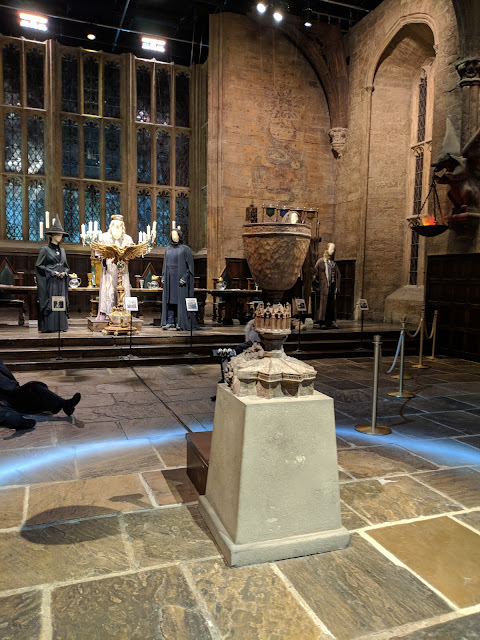 I think seeing the studio tour sparked a desire to learn more about Harry Potter, read more of the books and watch more of the films. Many of the exhibits are interactive. 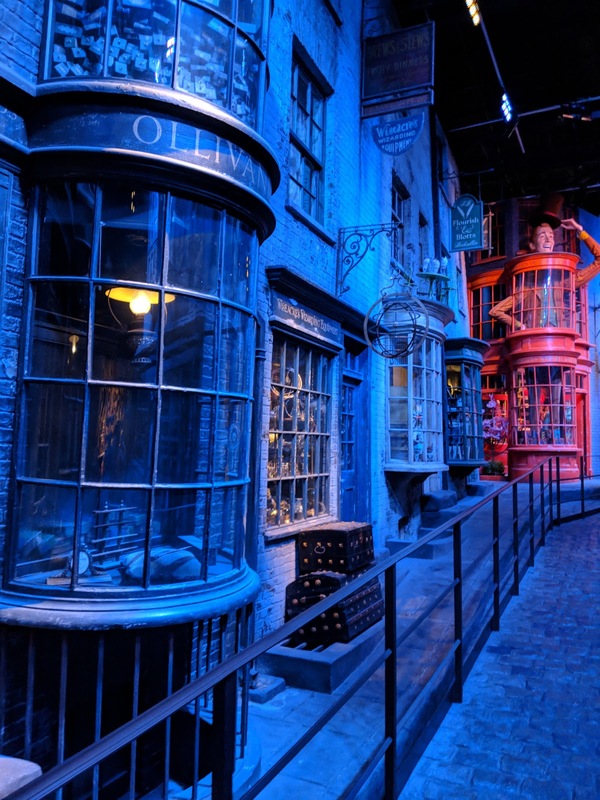 You can use magic to stir potions in the classroom, and wash pots in the Weasley house. Your magic came in handy with learning to fly broomsticks over Hogwarts and of course we learnt spells at wand school. 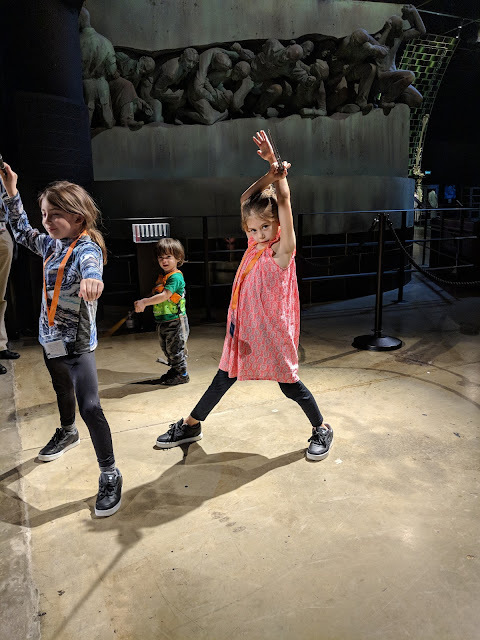 I was actually really surprised at how much my children at 7,6 and 2 really loved the tour. 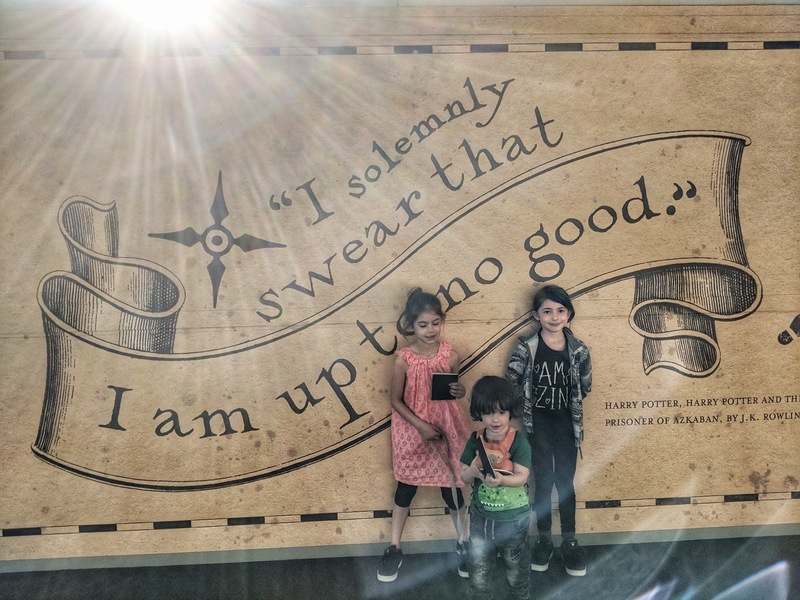 Given their limited Harry Potter knowledge they really enjoyed themselves and took everything on board. After a trip through the Forbidden Forrest, which has two routes one with spiders and one without, we tried butterbeer before heading into the outdoor area of the tour. Here the girls saw the Night Bus, rode on Hagrid's Motorcycle and of course visited Harry Potters House. We were now approaching the final section of the tour. 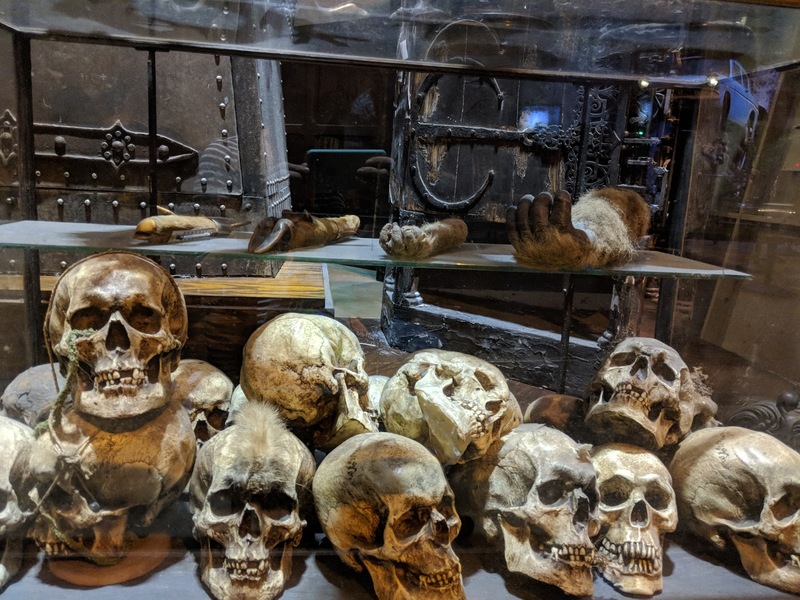 I loved learning about all the animatronics that had gone into the film. Looking at the concept to the final design. There was an interactive Dobby which the girls loved making him floss [You will have to watch the YouTube video on my channel] and it was then past a wall full of the different hats that appeared in the film before heading into Diagon alley. Our tour lasted around 4 and half hours but it flew. The girls and Little Man never got fed up, OK Little Man did get tired at times but that was more down to the fact it was his bedtime. They loved it and as they walked around their fascination with the franchise grew more. I could have taken the pushchair but knew he would have got in and out of it so opted not to. Sometimes when you have wanted to visit somewhere for so long the reality doesn't meet expectations, this wasn't the case here. I was blown away. 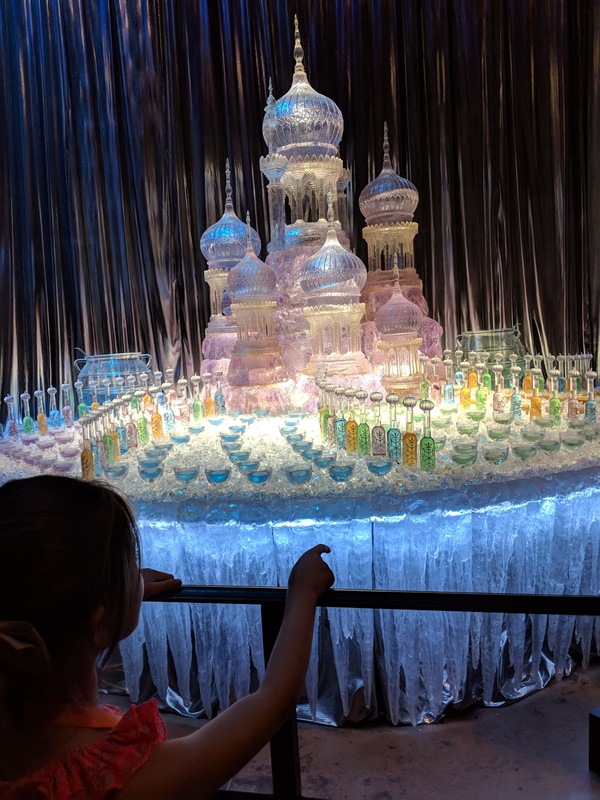 I had been worried that the girls and Little Man might not have enjoyed the experience, but the girls have come away with a new love of Harry Potter and are now reading the books after watching all the films. I think it is great that the tour has inspired them to want to learn more and to read more. They point parts out in the film that they have seen, which is a brilliant way to get them to talk about their experience too. Even though we have visited the tour I would love to go again, to see how the tour changes and see new sets as they feature in the tour. 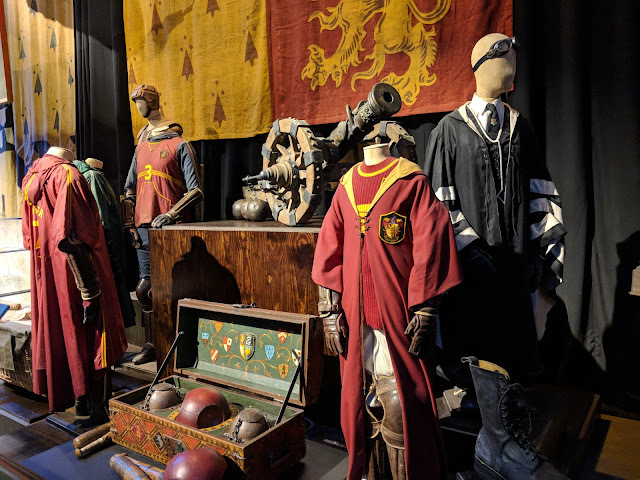 Thank you to Warner Bros studio tour for inviting us. 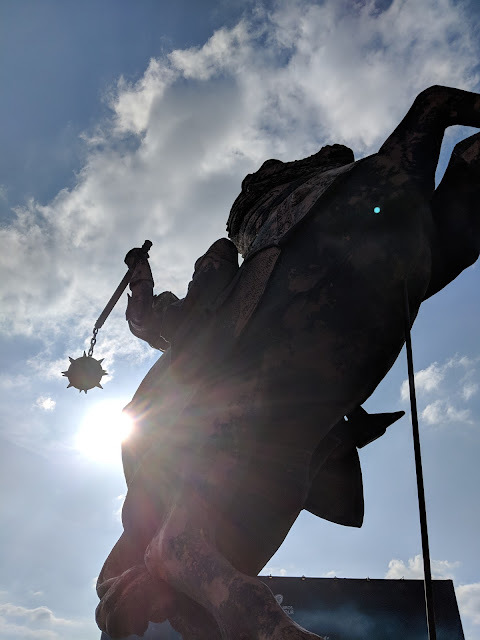 We were not asked to write a post or produce a video but I wanted to document our experience.